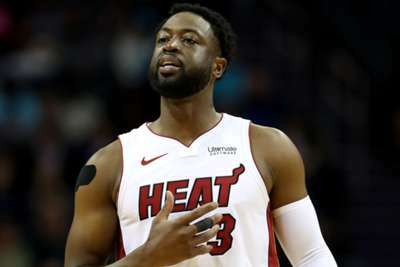 San Antonio Spurs head coach Gregg Popovich had a special parting gift for Dwyane Wade in the latest stop on the Miami Heat great's farewell tour. Ahead of Wednesday's Spurs-Heat showdown in San Antonio — the final face-off between the legendary coach and player — Popovich gave Wade signed jerseys of Spurs icons Tim Duncan, Tony Parker and Manu Ginobili. Wade, who is in his final NBA season, is averaging 14.3 points, 3.7 rebounds and 4.2 assists through 60 games for the Heat. "He certainly is an iconic figure as far as NBA basketball goes," Popovich said of the 37-year-old before the game. "And it's not just because of the way he played. He played hard. He played to win. He had a ferocious attitude on the court. But it was matched with a wonderful smile and a great understanding of the world and community off the court. "I think that's what made him so special; a coveted team-mate, somebody that everybody enjoyed playing with, a guy that cared about more than just basketball. That's what makes him iconic in my mind." Wade previously reached 1,052 blocks for his career earlier this month to give him the most blocks by a guard in league history.